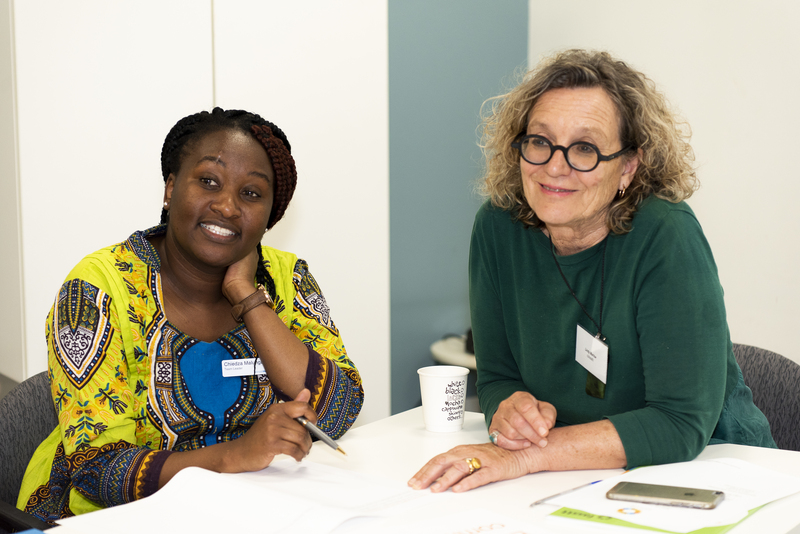 Photo: Chiedza Malunga and Lindy Marlow at statewide meeting 1 November 2018. Photo credit: Annette Ruzicka Photography. Working groups meet on the same days as statewide meeting, to promote information flow between the meetings and ease of access for people that travel long distances to attend the meetings. Working groups are where issues are explored in detail and strategic approaches are developed to bring about change. Working groups are the ‘detailed action groups’ in the Victorian Refugee Health Network (Network) structure. Statewide working groups with similar aims and objectives to the Network but under different auspices are also invited to meet on the same day to assist with information flow.